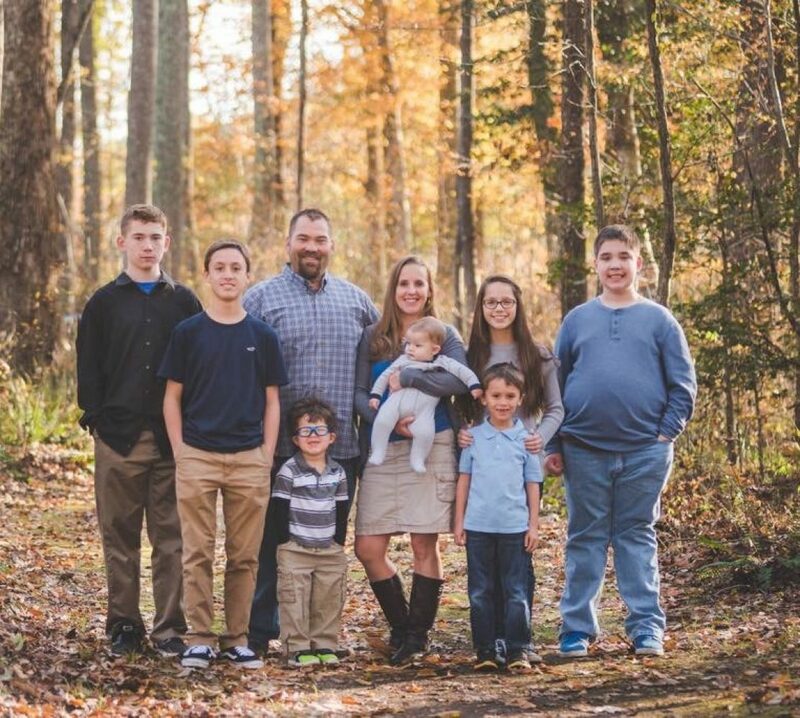 I am frequently asked how we manage a home with 7 kids, their sports all while staying involved and active at church and working a full time job and exercising. Sometimes I step back and see all we do and ask myself that same question?!? How do we do it? However here are a few things the past few weeks since school and sports swing back into action that have been a huge blessing making it all come together for our family. My mother being here and helping drive the kids home from school and to and from their activities. As hard of a transition as it was when she moved to Virginia and in with us. For all the complaining and bad days that we have had, we wouldn’t be making this busy season in our lives work without her here. Obviously God knew what He had planned when He led my mom to live with us. God has blessed me with the gift of being organized. Keeping our calendars and meal plans up to date and flowing each week has been instrumental in keeping track of everything. I have essentially 4 calendars I keep updated. One online with our google calendars, a personal paper planner I keep with me, a family monthly calendar in our kitchen and a weekly calendar that sometimes is updated or changing daily! We have been using a successful meal plan system for several years now. This meal plan system has worked so well I think the world may end as we know it if we didn’t meal plan for a week. All the mouths around our table have become very used to looking at the menu each day to see what is being made. This past week I found some new casserole recipes that were a hit! I made them the night before and put them in the fridge so all I had to do at dinner time was put them in the oven. At the beginning of each week I make one large salad and chop fresh veggies so that we have vegetables prepared and ready to go. I use our slow cooker a lot too! This is a tough one for me to write partially as a result of the destruction of anxiety I have been experiencing. Such a big topic…I’m not sure where to even begin. Over the past two years for the first time in my life I have experienced anxiety, true anxiety. Not just a little nervous or anxious over typical life stuff but anxiety over something that pushed me to physical symptoms and results of the fear and anxiety. The heart racing, nauseated, head pounding, feel like you cannot breath because you are suffocating from fear, pretty sure your having a heart attack and dying from being scared to death. ——> ANXIETY. There is one specific area in our life beyond my control has caused such an overwhelming fear I have been in some ways completely paralyzed by it. It has robbed me of so many things, the most precious of which is joy and peace. As a medical provider I am fully aware of anxiety as a medical diagnosis and appropriate treatment options. But being on the other side of this it’s completely different. I had no idea the physical symptoms were so ‘real’. My education training and experience of course I knew they were real. The impact of actually experiencing them was eye opening and quite painful. It becomes such a horrible cycle. In my mind, my brain knows the truth, God is in control, I know the biblical truths that should keep my mind body and heart from being controlled by fear. Worry and fear is a sin and shows my lack of faith. But in that moment, when fear strikes, my mind shuts down and physical symptoms of fear, flight or fight reaction takes over. Then when I’m in a safe place I feel overwhelming guilt and beat myself up for being weak and selfish. I feel shame and am angry with myself for allowing the fear to control me and my actions. I feel so defeated and powerless in these moments once the fear passes. As this cycles through over and over, constantly living in fear and then guilt and shame is exhausting. I was suffocating with the results of this unending fear and I could not find a way to come up for air. I was listening to a sermon by R.C. Sproul this past week on anxiety and he speaks about how much Jesus warned us against the SIN of anxiety and worry. The conviction that worry and anxiety is a sin has really sunk heavy in my heart. Last week my husband and I were having conversation about sin and he asked me what sin I struggle with the most, and anxiety doesn’t even pop in my mind. I immediately think of the first two commandments, and feel convicted of not putting God first and the idols in my life. However anxiety and fear over this part of our lives that is beyond our control is truly what I struggle with the most and results in impacting everything else in my life. This has been a difficult path for me and my husband and essentially our family as they have felt the effects of my anxiety. It took a while to be able to understand the underlying fear and anxiety and how this was taking over me. I can’t choose not to have the fear in my life, that’s not going to change. The source of my anxiety is a constant in our lives so I must learn how to cope with this. To have faith and peace through the moments when fear is staring me in the face. I am learning to choose to not let the fear control me. I have not mastered this or perfected this by any means. Oh my word! I am really not even close to where I need to be but I am now moving in the right direction…. making progress, baby steps. I am learning and growing. With the support patience and understanding of my husband. With God’s word . Many many hours of prayer, ongoing constant prayer. I have reached out to christian women in my life for support and friendship. God is in control and in the end this will be made to glorify Him. It is already working to grow my relationship with Christ. With the power of Christ I am rising above this and can see the other side. God is faithful despite my lack of faith! By the power of the Holy Spirit at work in my life I am choosing to turn away from the sin of anxiety and fear and am turning to the strength and comfort in Jesus. 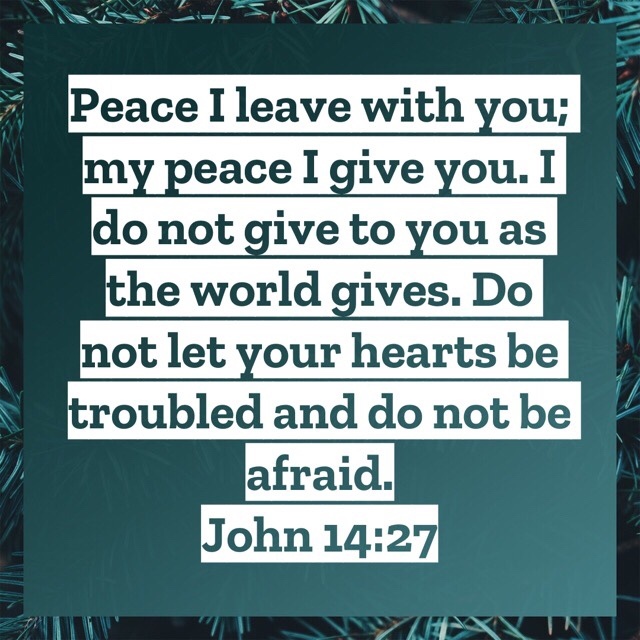 God and his sovereignty will transform my heart and my life to one of peace and joy despite and through the trials that currently causing my fear. It won’t be easy, God does not promise easy, but He does promise to be with me. I will find comfort in knowing He is in control. There will still be days that are a disaster, I will make many more mistakes along the way during this process. However when those days come I will repent, turn back to Jesus and not allow the enemy to keep his hold over me. I am imperfect, I am a sinner and I desperately need my Savior. I am so thankful for God’s mercy and grace and most importantly for the sacrifice of His Son on the cross for my sins.